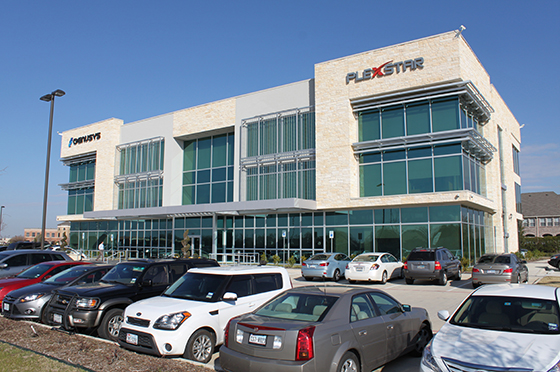 Plexstar repeaters are optical-electrical-optical (O-E-O) media converter/ transponders for extending the optical fiber distance between two locations that support the "Three R's" for Retiming, Regenerating and Reshaping of the optical signal. In some applications O-E-Os are also used for wavelength conversion from proprietary CWDM/DWDM wavelength to a generic wavelength for example 1310nm/1550nm. POEOCH17: 16 slot repeater chassis with management POEO25G3RS: 2.5G Repeater/Transponder (2 x SFP). 3R repeater (Retime, Regenerate, and Reshape). Support ITUT prescribed CWDM wavelength (1270nm-1610nm). 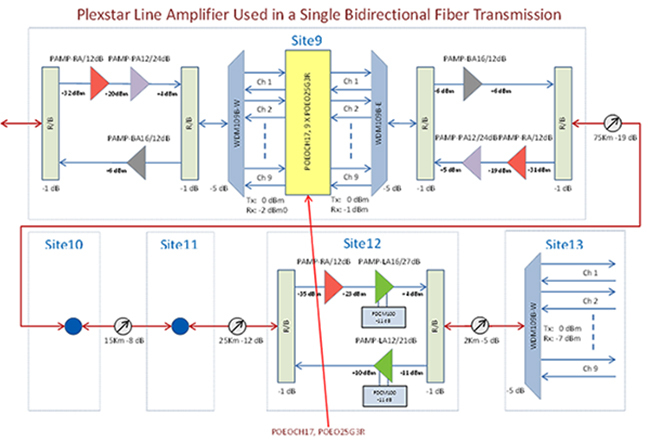 Protocol and optical transmission rate agnostic. Modular filter and fan unit that is in-service replaceable. AC/DC Redundant and modular power supplies. Less than 5W per repeater/transponder . 2RU chassis with 17 slots. Card: Height 8.5 mm (0.33 inches), Width 13.4 mm (0.53 inches), Depth 56.5 mm (2.22 inches).